There are two types of care – healthcare and social care. Healthcare is provided by the NHS and is free to everyone to the point of use i.e. when you need it. The funded care package is known as NHS Continuing Healthcare Funding (or CHC for short). Social care is provided by the Local Authority (through Social Services) and is ‘means tested’ – which means your relative may have to pay for some or all of their social care needs. If your relative does not fit either category above, they will be required to pay for their care from private funds – which can be very expensive and erode life savings, and in some cases can even result in selling assets (eg their home) to pay for care. Therefore, getting NHS CHC Funding can save you or your relative many, many thousands of pounds in care fees! As there is no legal definition of what is a ‘healthcare’ need or a ‘social’ need, this distinction can often be the cause of much confusion and debate. So, you need to be clear where the dividing line is drawn between these competing needs. The issue can become somewhat blurred where some of these needs combine or overlap. The National Framework for NHS Continuing Healthcare and NHS-funded Nursing Care (revised 2018) defines NHS Continuing Healthcare as “a package of ongoing care that is arranged and funded solely by the National Health Service (NHS) where the individual has been assessed and found to have a ‘primary health need’. 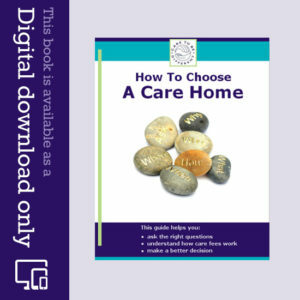 Such care is provided to an individual aged 18 or over, to meet health and associated social care needs that have arisen as a result of disability, accident or illness……”. The concept of a ‘primary health need’ first came to light in the Coughlan case. Following the Coughlan judgment, the test for a Primary Health need was introduced into the National Framework for NHS Continuing Healthcare (see paragraph 58). In short, a primary health need is where the individual nursing or health needs are more than incidental or ancillary to the provision of accommodation which Local Authority Social Services are under duty to provide, and are of a nature beyond which the Local Authority whose primary responsibility is to provide social services could be expected to provide. Social needs ”arise from (or relate to) a physical or mental impairment or illness which results in them being unable to achieve two or more of the following outcomes which is, or is likely to have, a significant impact on their wellbeing: • managing and maintaining nutrition • maintaining personal hygiene • managing toilet needs • being appropriately clothed • being able to make use of the home safely • maintaining a habitable home environment • developing and maintaining family or other personal relationships • accessing and engaging in work, training, education or volunteering • making use of necessary facilities or services in the local community, including public transport and recreational facilities or services, and • carrying out any caring responsibilities the adult has for a child..”. Think of it this way: put simply, social care needs are often thought of as describing activities of daily living requiring routine care. For example, needing help when out and about, with mobility, feeding, washing, dressing and toileting; whereas primary healthcare needs are more akin to someone requiring frequent monitoring, input, intervention and review by healthcare professionals ie nursing care over and above routine care. And just because an individual has been diagnosed with medical condition eg dementia, does not mean that they will automatically qualify for CHC Funding. The condition itself is not the key factor here, nor is the setting where the care is provided; it is the interaction between the nature, intensity, complexity and unpredictability of those needs, and whether they over and above what social services could be expected to provide. To establish whether your relative has a primary health need for healthcare, an assessment of their needs has to be carried out. The Checklist assessment and full assessment processes are set out in the National Framework for NHS Continuing Healthcare and NHS-funded nursing care (revised 2018) – including a Fast Track Pathway where an urgent assessment is needed for immediate care needs. Remember: If your relative has a primary health need, it is the responsibility of the NHS to provide a fully funded care package – FREE OF CHARGE – that meets ALL their assessed health needs and associated social care needs, including any accommodation (if that is part of the overall need). You shouldn’t have to pay a penny more – so beware of unlawful ‘top-up’ fees being charged. 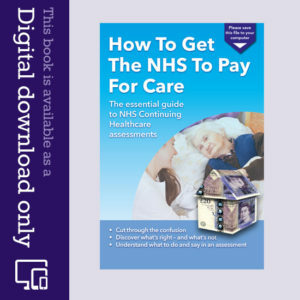 When undergoing an initial assessment by the Clinical Commissioning Group, their assessors should not ask whether your relative has funds to pay for their own care. This line of financial questioning is fundamentally wrong. The assessment process is to determine if your relative has a primary health need and is eligible for NHS CHC. Remember: it is a matter of health, not wealth. Finances should not be discussed; and if finances are discussed, you must register your objection immediately and complain. It could be good grounds for an appeal if your relative is rejected for CHC Funding. Alternatively, to save funds, the Clinical Commissioning Group may state at the outset that your relative doesn’t have a primary health need or won’t qualify for CHC. 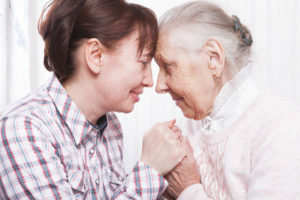 They may try to palm your relative away, and instead suggest that if they have means to consider paying privately for their care; or else approach the Local Authority for social services funding. This ‘financial gatekeeping’ is not permitted and you must object strongly. Whilst independent financial advisors can be invaluable if consulted at the right time, many will never have heard of NHS Continuing Healthcare Funding, and will therefore not be aware that there is a process in place to assess eligibility for free funded care from the NHS. So, before you part with any money and take out any investment policies to fund long term care, do consider whether your relative has a primary health need and ought first to be assessed for CHC Funding. Hi. My mum has severe dementia and high blood pressure as well as arthritis and low sodium level issues. She owns her own home but have been assessed by a psychiatrist who advised she needs full time nursing care. Will she have to pay for this care and sell the family home or could we apply for NHS continuous health care? our son was deemed not to be eligible for CHC last year after meeting the criteria for CHC for 26 years, I used a company to look at the paperwork but be aware as you could be parting with up to £10,000 to bring an appeal against a flawed DST using them without a guarantee of successes. The appeal states he has a primary health need and that he meets the criteria for CHC funding in full. I now have to work out what i can do without paying more money up to get back something we all know he meets. I was told my Mum needed a nursing care bed in January 2016 but none were available so she had to stay in the care home unit. She ended up in hospital in September 2016 and passed away in January 2017. She had vascular dementia as well as long time mental health issues and scoliosis which deteriorated while in the care home. She got 1 severe and 4 highs plus moderates. I’ve finally had a response to a panel meeting for retrospective funding after they’d failed to follow procedure so had to go through the process again. They have said that she would have got nursing funding if she had moved to the nursing unit but that she didn’t get funding while in the care unit. Where do I stand as I’d like to take this further as I’m seriously annoyed with the time they have taken and this decision. I’m not asking for all the fees back to when she first went into the home just the last 9 months that she was deemed nursing care.